Empowering teams to analyse information in real-time and drill-down quickly to take action. Business Intelligence and Analytics is purpose built for making decisions on the go; it’s software that adapts to ensure a seamless and intuitive user experience regardless of what device you’re on. Harness the power of your TechnologyOne enterprise solution, with the unique ability to drill down through dashboards to act on your enquiries on the spot. 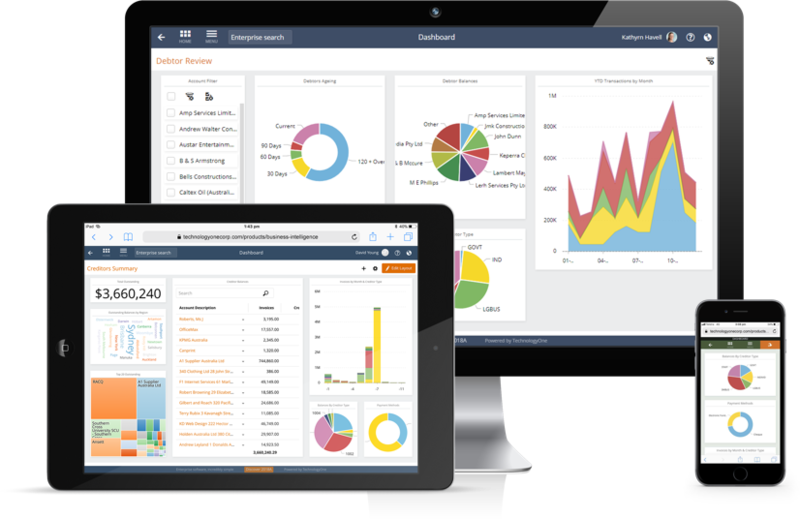 You can be up and running quickly with pre-configured dashboards Business Intelligence & Analytics - for a fraction of the cost of implementing traditional business intelligence solutions.